When I showed up to the Kings River Chapel, I was instantly smiling! I saw the sweetest white chapel lined with stained glass and thought I must be in heaven. If you know us, you know we love everything white! As I walked up to the chapel I was immediately greeted by the cutest little boy wearing navy blue suspenders and shorts! He gave me a big smile and ran inside with his father. I walked into the chapel. and was greeted by the sweetest family. Everyone was so happy, relaxed, and ready. 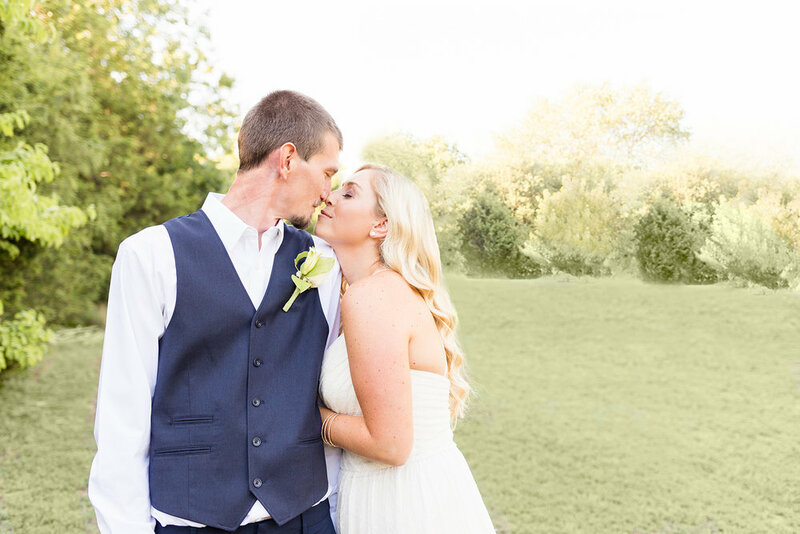 Lyndsey and Orrie opted for an intimate wedding close to where they grew up in Berryville, AR. Berryville is a quaint town next to the Kings River. It's covered in trees and hills. 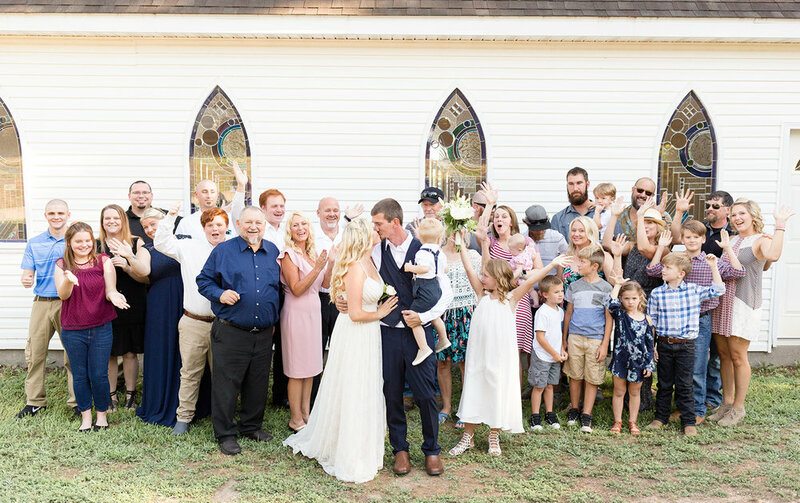 I'll never forget their sweet reactions when Orrie turned around and saw Lyndsey for the first time in her wedding gown. They both had the biggest smiles on their faces that didn't leave throughout the rest of the day. I loved being able to spend some time with them before the ceremony taking formals of just the two of them. I didn't even have to pose them, they were just glowing and lovey all on their own! There's nothing more special than seeing a couple who are so in love. Their ceremony was beautiful. I was immediately reminded of what truly matters and why we get married in the first place. You could tell these two knew what was important as they hugged and kissed their kids and looked into each others eyes as they said "I do." 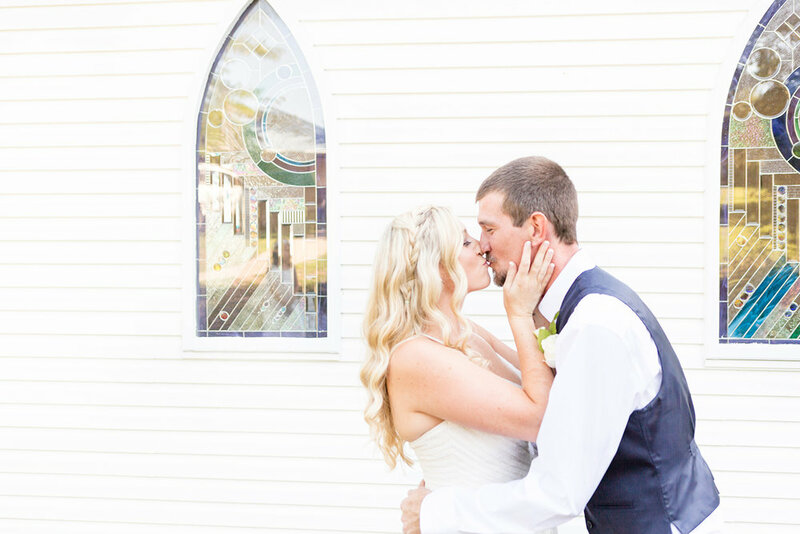 Orrie + Lyndsey thank you so much for letting us be apart of your beautiful day! You two are so special and we wish you the absolute best!